In the Yucatan Peninsula, the millenary practice of apiculture has been very important since the Maya era. The ancient Maya cultivated the endemic species of the “Melipona” bee, since the European bee was brought from the other side of the Atlantic until the XVI century. 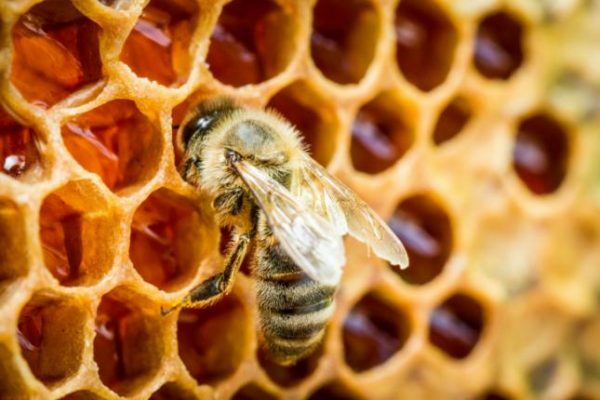 Nowadays, the Yucatan holds the first place at national level for bee honey production and 11 thousand Yucatecan families practice apiculture as their main source of income. In 2015, Mexico exported 42 thousand tons of honey, breaking the record, with 15% more honey than the year before. And out of those 42 thousand tons, 12 came from Yucatan, 8 from Campeche and 5 from Chiapas. Mexico has positioned as the third largest honey producer in the world, Argentina and China being first and second. Maya Honey has been producing honey for almost 20 years now; they export almost their entire production to countries with high standards on organic product reception, such as Germany. The company was created in 1997 in Chiapas by a family with German roots, with the intention of integrating the beekeepers to a stable scheme, and later on, they brought their project to Yucatan. The project started in the year 1980, under the name of “Productos Selectos del Campo S.A de C.V”. By 1997 Maya Honey was founded, positioning as one of the most important honey bee export compaines in Mexico. In 2005, they celebrated their 25th annivesary and today, they are an internationally recognized producer of organic honey bee, supplying their products to Northamerica, Europe and Asia. Based on market studies and analysis on current commercial trends, the company decided to focus on the German market. To export, their priority was to improve the quality in their processes and equipment. Their most intense effort was made in Yucatan; they trained their staff and formed small market-like groups, this helped them get certified in different aspects, like in organic honey, kosher and in good practices and traceability; for the time being, they’re in the process of obtaining the Fair Trade certification. Maya Honey invested in new stainless steel tanks and adapted their facilities in both Yucatan and Chiapas to homogenize lots of 20 tons and train their staff on the subject of quality and safety standards as well as implementing good practices in food processing; this investment was worth it and made all the difference. Pablo Hermann Beutelspacher, General Director of Maya Honey, focused on having a plan of provider development so that they could guarantee the quality required by the European market. Germany is one of the countries where it’s harder to export to because they are constantly renewing their requirements for quality and safety standards. Maya Honey generates 25 direct jobs and works with 600 producers who they support with training and certification. In a 25 year period, the company has quintuplicated its export volume; it currently exports 95% of its production to the United States, Saudi Arabia, Europe and Japan.